The theme of the first Africa Trade Week, held in Addis Ababa, Ethiopia from Nov 28 - Dec 2, 2016, was Advancing Socio-Economic Structural Transformation through Intra-Africa Trade. As a result, the focus was on the continent's plans for a Continental Free Trade Area (CFTA) as a means to facilitate trade and build productive capacities for industrialisation. 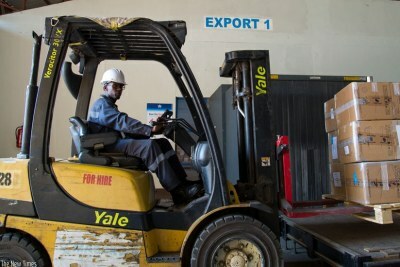 The Economic Commission for Africa (ECA) estimates that the CFTA could increase trade between African countries by as much as $35 billion, an increase of more than 50 percent from current levels. More about ECA in this BRIEFING. 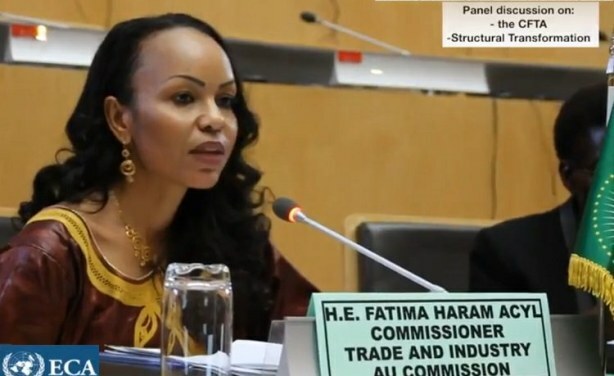 Fatima Haram Acyl, Commissioner for Trade and Industry, African Union Commission addressing participants at the first African Trade Week held in Addis Ababa, Ethiopia from Nov 28 – Dec 2, 2016.